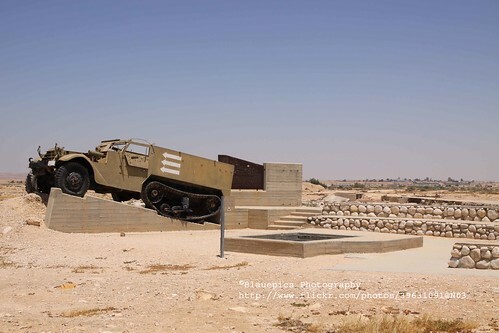 The Battle of 'Auja, also called Battle of Nitzana, was a military engagement between the Israel Defense Forces and the Egyptian Army in and around 'Auja (today Nitzana), a small village on the Egypt–Israel border. It was fought on December 26–27, 1948, as part of Operation Horev, an Israeli campaign meant to expel all Egyptian forces from the country. The first stage of the operation was the simultaneous capture of 18 Egyptian positions on the Beersheba–'Auja road, including 7 around 'Auja. The attack was conducted by 8th Brigade forces, reinforced by troops from the Harel Brigade. It started with maneuvers to the north of 'Auja, which bogged down the Israeli forces that only began the actual assault on December 26. The battle was won in the afternoon of December 27, but only on the morning of December 28 did the 8th Brigade take the two final positions, completing the capture of all 18.